Tacloban City, the rising phoenix of the east, is one of the fastest growing cities in the Philippines. As the capital of Leyte, it is situated 580 kilometers southeast from Manila, and is known as the richest local government unit in Eastern Visayas. Although stricken by Typhoon Haiyan in November 2013, Tacloban is currently undergoing a fast economic recovery. 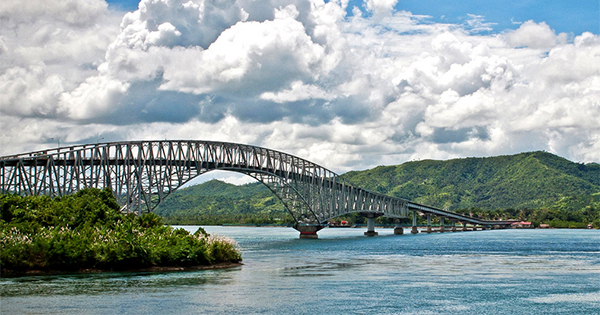 #1 - San Juanico Bridge: Visit the longest bridge in the Philippines, which connects Leyte and Samar. It was only slightly damaged by Typhoon Haiyan, is now repaired and continues to be one of the most breathtaking views in Tacloban. It is surrounded by a large body of blue sparkling ocean, where you will be able to gaze at the fish and turtles beneath, in the midst of the cool breeze of fresh air there. #2 - Santo Nino Shrine and Heritage Museum: You will get to see nice artifacts from this museum and learn how rich the Marcos’s are, as you see their family tree, how they raised their children, and the atmosphere in Malacanang. Furthermore, you will have the chance to sit on the chair where the pope also sat, and be able to view the library of the late Philippine president Ferdinand Marcos, where he kept many educational books. #3 - Madonna of Japan: This is a symbol of friendship between Filipinos and Japanese, which can be found at the Kanhuraw Hill, along Magsaysay Boulevard. Although the Japanese were considered enemies by Filipinos way back in World War II -- times have changed already. The Japanese government made great efforts to befriend Filipinos, and thus, in these modern times, the two countries have become allies to achieve progress. #4 - Cap Building (Formerly Price Mansion): It used to be the official home and headquarters of General Douglas MacArthur in the Liberation period (1944). The Price mansion also depicts how American colonial houses looked like in the 1900s. This historical landmark has, however, been transformed into College Assurance Plan building, although no major changes were done to preserve its original architecture. This office also houses a MacArthur Memorabilia, an Art Gallery and a Conference Center. #5 - White Beach: Located in Barangay San Jose, White Beach is known for it's clean and clear water, as well as the abundance of activities including swimming, diving, boating and water skiiing. The beautiful white sand, as well as the amazing tropical view, has made it a popular destination for both local and foreign tourists.